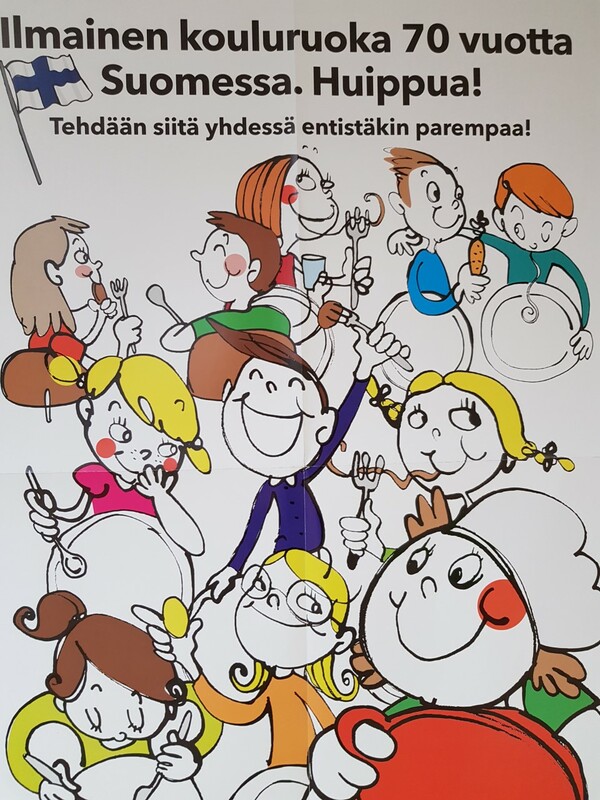 Free school meals in Finland - 70 years! I am a member of Vantaa City Council. 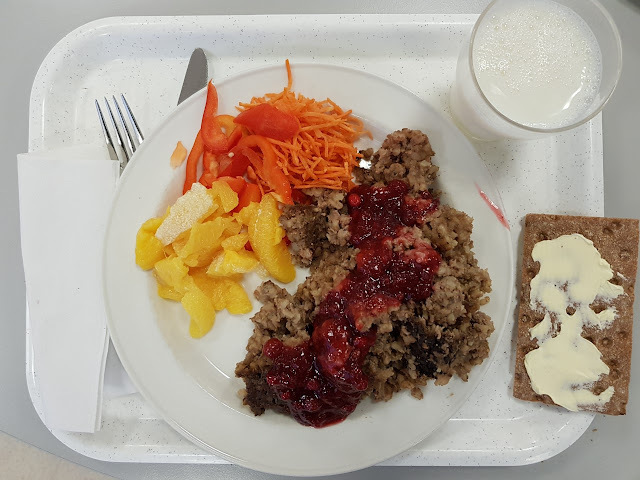 Before the Council meeting, Vantti, company owned by City of Vantaa, served us a typical school lunch portion. Minced meat and beans sauce with rice was good. Salad, cucumber, tomatoes and mandarin. Milk and crisp bread. Councilmen were delighted to eat the sample portion. 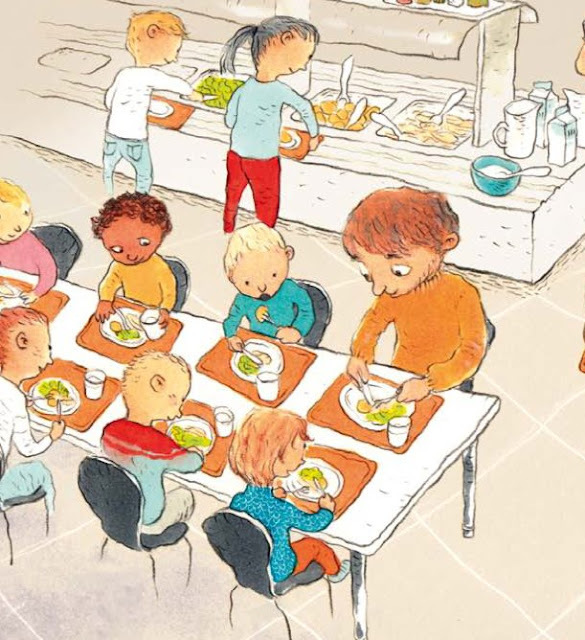 School meals are the highlight of the school day, and support learning, school satisfaction, food competence and development of food sense. The lunchbreak gives the daily work schedule a natural structure and provides pupils as well as school staff an opportunity for refreshment. 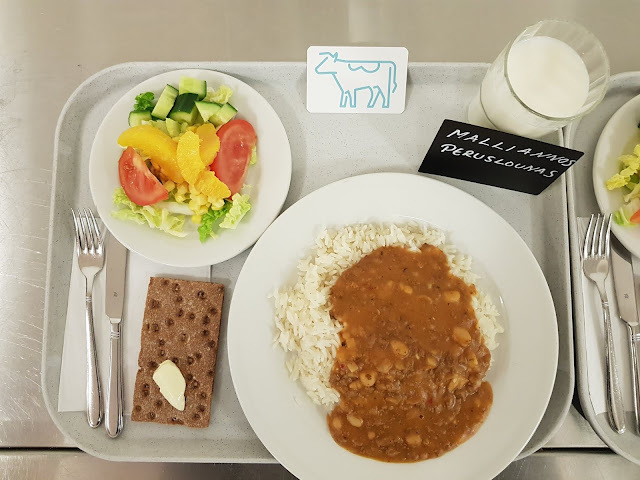 Liver casserole is very typical school dish, some pupils like it much, some not at all. I like it a lot. Carrot, bell pepper, mandarin.